At NTU, you’ll be joining a community of staff and students from over 150 countries. With lots of social events taking place throughout the year, you'll have the chance to make lifelong friends from around the world. 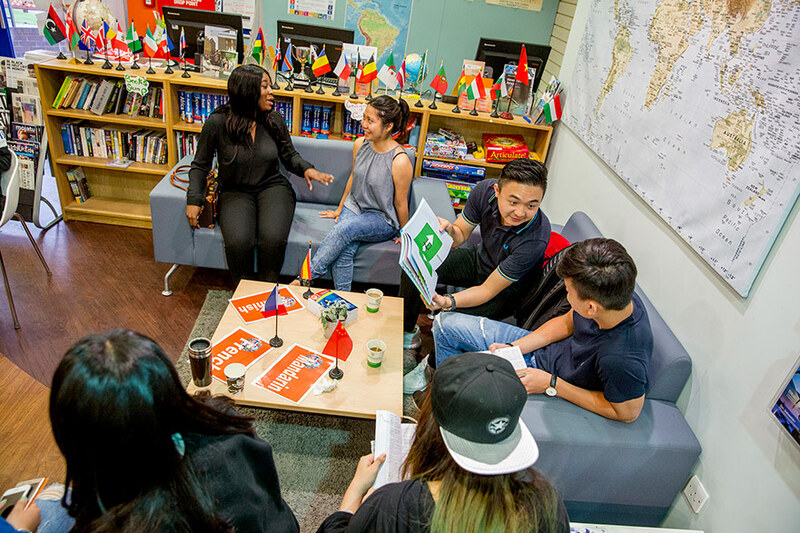 We're committed to offering all of our staff and students a truly global perspective — we want you to learn and experience as much outside of the classroom as you do in it. find out about international study abroad and placement opportunities. Events hosted at our Global Lounges include regular movie nights, a book club and games afternoon, opportunities to learn new languages, and our weekly Global Lunches. Visit our Global Lounge section to find out more. We have a number of initiatives on offer to help you develop your foreign language skills: these include our Language Cafes, the Language in Tandem scheme, and the English Conversation Hour. These initiatives give you the chance to practise your skills weekly, either in groups or on a one-to-one basis with native speakers — whatever your current skill level! Visit our Global Language section for more information. Global Week is a week-long celebration of our rich cultural diversity. Throughout the week, the staff and students of NTU, Confetti and Nottingham Trent International College (NTIC) — alongside community partners from Nottingham and beyond — will hold a series of stalls and events at our City, Clifton and Brackenhurst campuses. Through art, dancing, sport and food, Global Week connects and celebrates the different cultural heritages of the NTU community. It’s a chance for our staff and students to extend their international perspectives, and enjoy global experiences right here on campus. 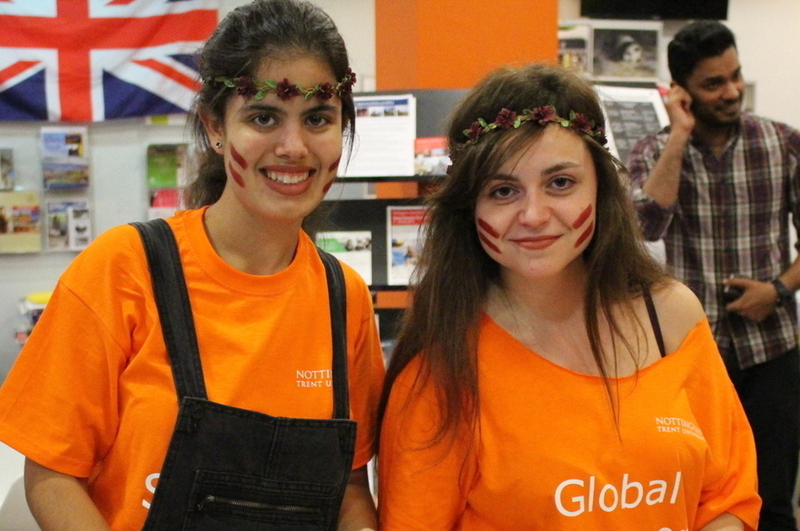 Visit our Global Week section for more information on this exciting annual event. Studying abroad is a fantastic opportunity to enrich your degree by experiencing other cultures, and building your employability. With short and long-term options available through our global network of partner institutions — and across all of our Schools and subjects — we'll support you in developing personally, professionally and academically. Visit the study abroad section to learn more. As an NTU student, you have access to the University Language Programme (ULP). Whatever your level of ability, you'll have the chance to learn a new language, or brush up on your existing skills. The ULP sits conveniently alongside your studies and work, and could provide a significant boost to your CV. Taught by experienced specialists — many of whom are native speakers — we'll support you in building your abilities, so that you can communicate confidently in your chosen language. For available courses and booking details, visit our language section. Every year, NTU hosts two, three and four-week summer school courses for undergraduates from universities around the world. As an NTU student, you can help with this initiative — either as a student buddy or ambassador, supporting induction sessions and campus tours, and showing our new guests around the city. This experience is a valuable addition to your CV — what's more, you'll have the opportunity to participate in the classes yourself, whilst meeting new people from across the globe. Visit our Global Summer Schools section for more information on this exciting scheme, and to find out how you can get involved.